Which Type of Christmas Card Sender Are You? Tis the season to give and receive Christmas cards. Have you mailed yours? Every year, thousands of people mail out holiday greetings to family, friends, coworkers and associates. There are many different types of cards to select. Which type of sender are you? One of the most common types of Christmas cards I receive is the photo card. You know the ones - with either the entire family at the beach or just the kids by a tree in the park. You may even get one with the family pet. These are the ones I look forward to the most. It is a good way to keep up with families as they grow, especially if they live far away. Photo cards are actually easier to create than you would imagine. Take the pictures yourself with a digital camera and select the best shots. You can email your photos to a local print shop or to an online service. Order a single photo card, or get creative with a collage of photos. Some companies, like Tiny Prints, will even address the envelopes and mail the cards out for you! In the past, I always felt guilty about throwing away all the different photo cards once the season was over. A few years ago, I started a tradition of placing the pictures in Christmas photo albums. Before we ring in the new year, I cut the photos from the Christmas cards so they will fit into the album pockets. Every year, my family enjoys browsing through the albums to see how our friends have changed over the years. Another popular type of card is the religious or serious greeting. These often depict a lovely angel, dove, or church on the front and a line of inspirational scripture inside. I especially love all the different cards with nativity scenes. These are usually the prettiest cards, and I will hold on to some as keepsakes. Not necessarily religious, you may also see the sincere high-quality card. This one might be embossed or engraved and have lined envelopes. The card stock will be fine stationery from a reputable company, for example Crane & Co. To order these, you can visit a stationery shop and select a style from a large catalog. You may also find these online. People spend hundreds and even thousands of dollars for these Christmas cards. If you receive one, it is like receiving a small gift. While these extravagant cards are very special, you do not want to fall into the trap of Christmas card competition. During college, I worked in a stationery store and often witnessed battles of the best Christmas card. Some wanted the most unique while others simple wanted the most expensive. The biggest faux pas would be to send out a card that someone else was using that year. More like an everyday greeting card, these cards make you smile or chuckle. You may see Santa playing golf or trying to fit down the chimney. These cheerful cards are a lighter version to the traditional holiday greetings. Some people use funny photographs for a good laugh, as well. A long distance friend of mine comes up with a theme each year and poses with her family, props and costumes included. My favorite was when they dressed up as the family from A Christmas Story - lamp, bunny ears, zeppelin and all. Another friend manipulated his photo to make it appear as if his two children were flying through the air like a holiday-suited Superman. With funny cards, your friends will always look forward to see what you come up with each year. I love the nontraditional creative cards. Every year, my cousin sends a greeting that is never on standard paper. One year he used a patch of canvas, and this year's message was stamped on large craft sticks. Think "out of the box", and you can create a unique surprise for your friends and family. 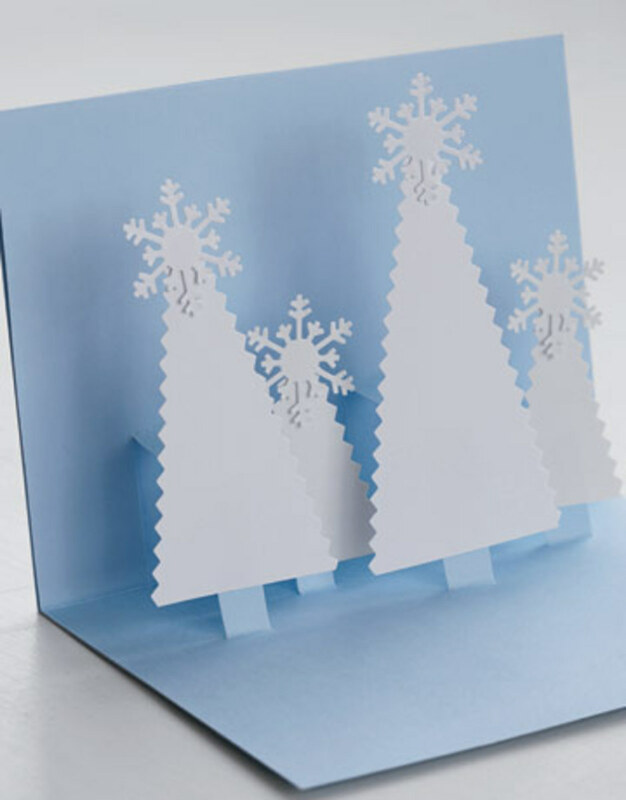 Creating Christmas cards at home is fun and gets your children involved in the holiday spirit. Grab some paper, stamps and markers and see what special designs you come up with. Check out Disney's Family Fun for homemade Christmas card ideas. When my family moved to the coast, we selected a card designed by landscape artist. The front picture was of a magnificent Christmas tree at the end of a dock very similar to ours. The card was stunning, and we received many compliments. A former neighbor is also an artist and designs her own cards. Her favorite subject to draw is a fox, so each year she creates a new winter scene for the fox. Your friends and family will treasure these types of holiday masterpieces. The corporate holiday card has to be both professional and politically correct, since it will reach many people of different faiths. Typically, these will not include pictures of Santa, Christmas trees, or nativity scenes. You may see a pretty winter scene or something relating to world peace. The message will most likely say Season's Greetings or Happy Holidays, as opposed to Merry Christmas. Due to these constraints, the cards tend to be a little boring. A thoughtful handwritten message in red ink will give these cards some flair. There may be years that you decide to send out more than season greetings, but also messages or announcements from the current year. 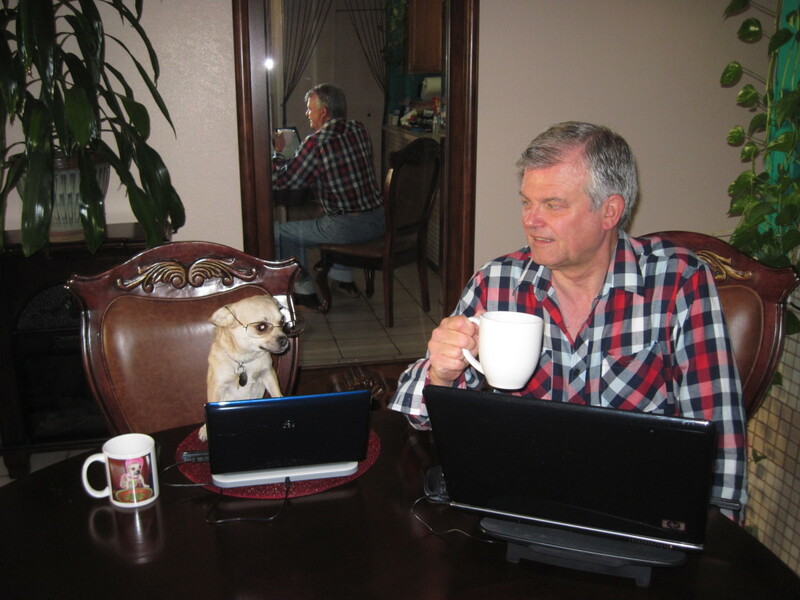 The Christmas letter is often a typed page relaying the highlights of the year. Some people send these letters out every year and use it as an opportunity to update friends on the events in their life. Others use this form only for years with big occasions such as weddings or new babies. Lately, I have seen the letter evolve to include several pictures of the family as well. Depending on the timing, the Christmas card can also contain wedding announcements, change of address notices, and birth announcements. In last year's Christmas cards, we enclosed small business cards from Vistaprint that were designed to show our change of address. These are handy because the receiver can keep the card in his address book. If you have a December baby or wedding, what better opportunity to share the news than with a seasonal Christmas card. What type of Christmas card sender were you this year? The photo album idea seems to have been a hit with HP readers! Thanks for reading and commenting. Thank you Chaplin, I like the idea of putting the photo cards into albums. I also feel guilty throwing them out each year. Great idea. MM Del Rosario, I agree - I appreciate the handmade cards the most. I recently saw a bowl made out of old Christmas cards. The cards seemed to be laminated and then stitched together in gold thread. The idea was to use the decorative bowl to store/display Christmas cards each year. Pretty cool. Thanks, Kelle. You will be surprised at how many years of Christmas card photos will fit into one album. Sometimes I keep special cards, too. I love the photo album idea! I always feel guily about throwing away the beautiful photo cards. Thanks for the tip! Thanks, videogameviking! During this season, we keep the albums (up to 3 now) on the coffee table and even visitors like to flip through them. Nice article! 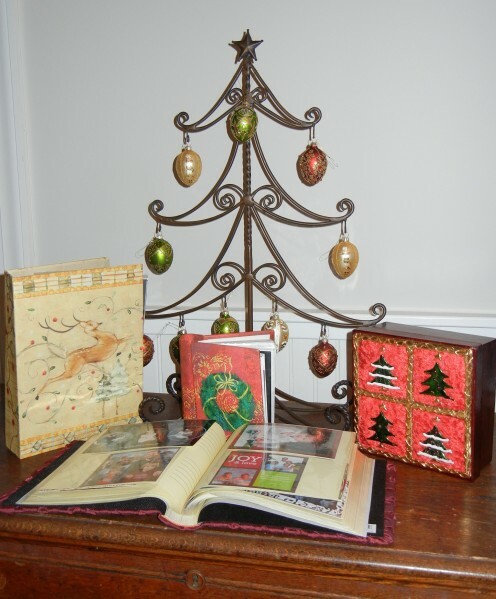 I really like the idea of placing holiday pictures into Christmas photo albums. Thank you, JT and Beata. 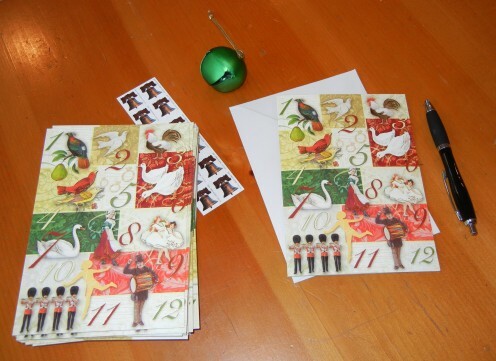 People do love to receive cards - it is exciting to check the mailbox this time of year! Thanks, xethonxq. My enthusiasm has waned as well over the years. My cards are still on the table unsigned, so I need to get to work soon! I'm a Tannenbaum Traditionalist this year, though I have been a Santa Shutterbug many times. Seasons change. Merry Christmas! I'm definitely the Jolly Joker card sender. I used to be very good about sending out all my Christmas cards the day after Thanksgiving...but as I got older my initiative has waned. Now I've resorted to being reciprocal with my cards...when I get one, I send one. Lazy, I know...but it has become frustrated sending out tons of cards and only receiving half that in return. :( Great hub ChaplinSpeaks!